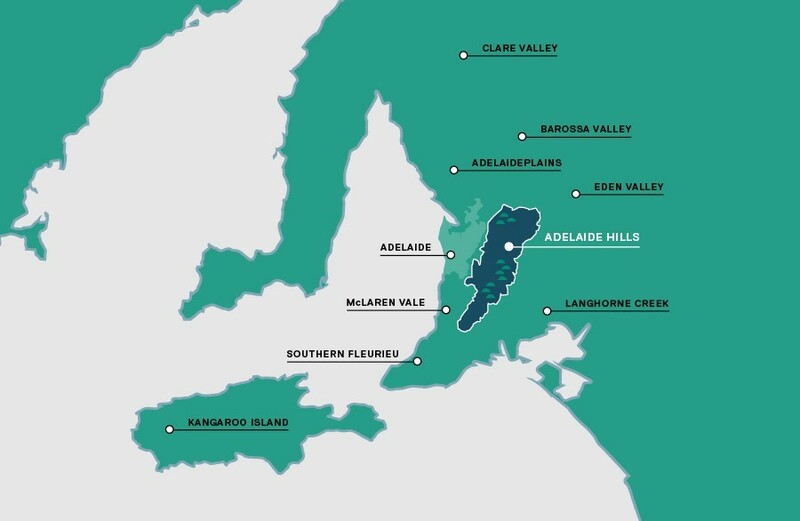 The Adelaide Hills is probably the least known wine district in South Australia, even though it is one of the largest geographical wine regions in the country. It is also a region where a number of wine makers have experimented with a number of varietals that are relatively unknown to Australia. Even though it is relatively unknown, the Adelaide Hills are, IMHO, one of Australia’s best wine regions. The Adelaide Hills produces some great Pinot Noir, Chardonnay, cool climate Shiraz, as well as Arneis, Grüner Veltliner, Nero d’Avola, Malbec and Saperavi to name a few of the more obscure varietals. One of the elements that makes the region unique is the multiple terroirs throughout the hills due to the varying elevation, climate and soils. As there are around 90 different wine labels and 50 cellar doors as well as being close to the city it is a great area to visit. A significant number of the wineries are smaller producers without some of the constraints that the larger, more corporate, wine producers have to worry about, giving them the freedom to experiment with obscure varietals. 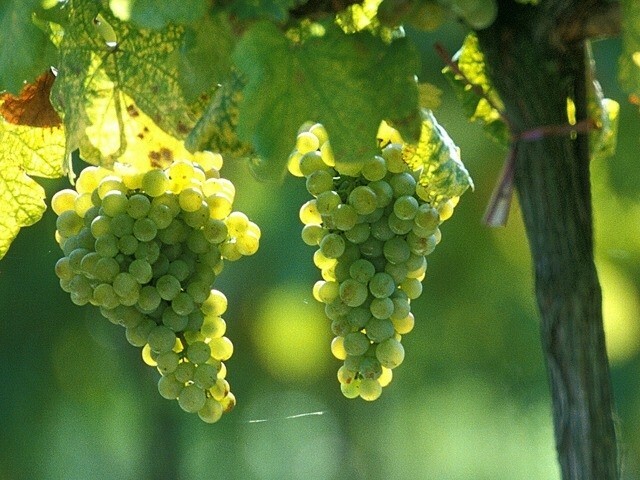 To date, Grüner Veltliner has been probably the most successful of the obscure varietals planted in the region and is now being promoted as one of the region’s flagship varietals. Grüner Veltliner translates to Green Veltliner and is predominately grown in Austria, Slovakia and the Czech Republic. Apparently Grüner Veltliner dates back to Roman Times, was originally from Norther Italy and is considered to be an indigenous grape to Austria. DNA testing of the varietal has confirmed that this was a naturally occurring hybrid of Savagin and an obscure Austrian grape from the village of Sankt Georgen am Leithagebirge. In Australia Grüner Veltliner was first planted in 2008 by Hahndorf Hill Winery, just up the road from Nepenthe. Not sure if, as James Halliday has speculated, it will be the next big thing, but even if it isn’t it will continue to thrive within the Adelaide Hills especially with Prue Henschke championing it! I was recently in the Adelaide Hills and visited the Nepenthe Winery Cellar Door, a place I recommend if you are planning a wine tour of the Hills, and tasted their current release of Grüner Veltliner. An enjoyable, fun, a good quaffer, something different, definitely worth a look. Just the right sort of wine to pair with Asian Dishes with a bit of spice, sounds ideal for Singapore! The 2015 release won a Bronze Medals at both the International Wine & Spirit Competition and the Adelaide Hills Regional Wine Show, the 2014 release was included in the Adelaide Review’s Hot 100 Wines. Recently I went wine tasting in the Adelaide Hills where we visited 4 wineries, the winery where we had the most fun was Nepenthe. The Cellar Manager, believe his name was Mark, made sure that we learnt about the winery, the cultivation of the grapes and how each different varietal needs to be looked after using varying techniques, whilst making sure we had a decent taste of every wine we asked to try. Previously I had only heard of Nepenthe, now, I am a fan, their wines are not superstars but they are very good quality at reasonable prices. 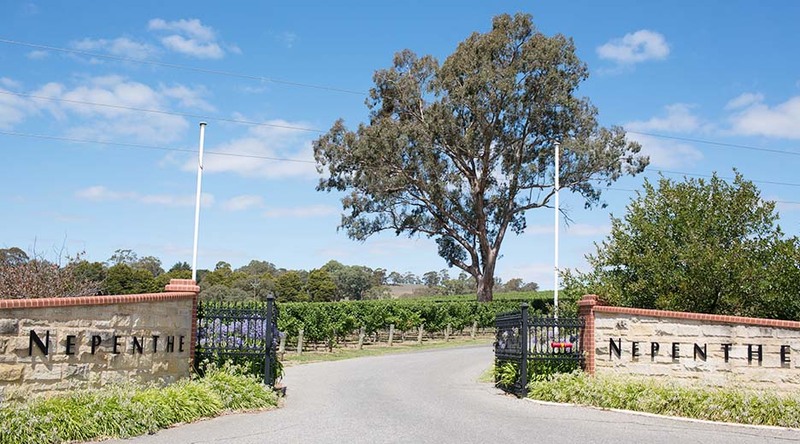 Nepenthe was established in 1996, it was the second winery, after Petaluma in 1978, to receive approval to be built in the Adelaide Hills. The name Nepenthe comes from Homer’s “The Odyssey”, it is derived from an ancient elixir blended to sweep away sorrow. It has changed hands a few times since it opened, firstly in 2007 after the unfortunate unexpected passing of the founder, Ed Tweddell, when it was purchased by Australian Vintage Limited. AVL closed the wine making to the McQuigan’s Chateau Yaldara winery in the Barossa Valley. Around the same time the cellar door was moved to its current location in Balhannah. In 2011 the current owners, Peter Leske and Mark Kozned, purchased Nepenthe. The winery produces 40,000 dozen bottles annually. James Halliday has rated the winery a 4 Star which means it is a very good wine producer with class and character with at least two wines rated by James at 90 or above or at least one wine about 95. Nepenthe’s Pinnacle Ithaca Adelaide Hills Chardonnay is consistently rated a 95, they have a number of other wines that have over various vintages that have also received ratings of 95 and a quite few rated between 90 and 95. 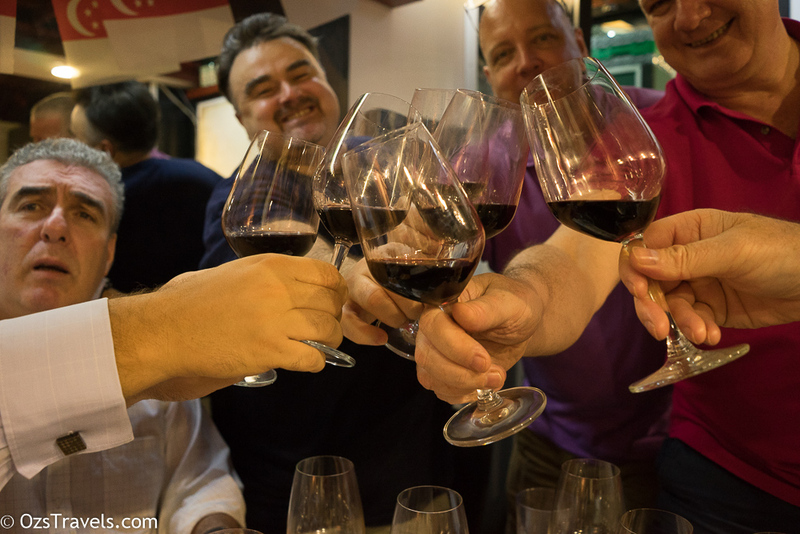 IMHO obscure varietals from obscure wine regions are a great stop on your wine journey. If you are lucky enough to be in Adelaide, plan a trip to the Adelaide Hills and make sure that Nepenthe is included in your plans and give the Grüner Veltliner a try. Yes but will Fluff drink it…? Thanks for sharing! I’m hoping a trip to Adelaide is in the cards in the near(ish) future and will definitely make Nepenthe a featured stop!! Cool, would also recommend Ashton Hills as well. Happy to provide any advice on a visit to Adelaide, just ask!